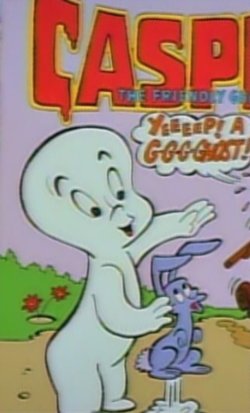 Casper the Friendly Ghost is a comic book character. While reading a Richie Rich comic book, Bart and Lisa take note of the facial similarity between Richie and Casper, leading them to speculate that Casper is actually Richie's ghost. The grave of Casper the Friendly Boy was seen in Springfield Cemetery.